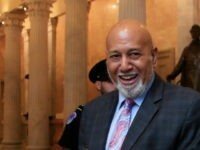 Rep. Alcee Hastings (D-FL) told a death joke about President Trump this week. 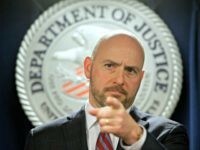 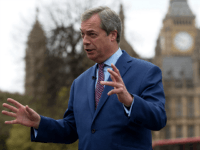 The left-wing crowd howled with laughter, and the establishment media have only shrugged. 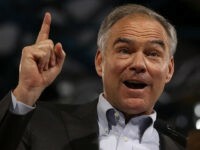 “America only gets in trouble when we’re not together,” Tim Kaine said. 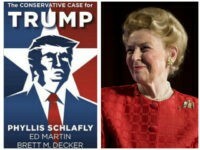 Phyllis Schlafly, the conservative polemicist and activist icon who passed away September 5, is beating Democratic presidential nominee Hillary Clinton in the book market despite intense public interest in the 2016 campaign. 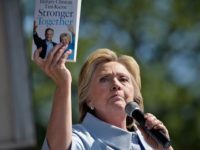 Hillary Clinton’s latest book is off to a pitiful start selling but a paltry 2,912 copies in its first week of release, a report shows. 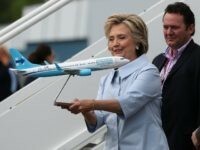 The plane is separated into four cabins, one for Hillary Clinton, one for staff, one for the Secret Service and one for the press.